Sri Lankabhimanya Justice C. G. Weeramantry, former Judge of the Supreme Court and International Court of Justice passed away yesterday at the age of 90, the Bar Association announced. Born on November 17, 1926, Weeramantry served as a Judge of the Supreme Court from 1967 to 1972. He was a Judge of the International Court of Justice (ICJ) from 1991 to 2000 and served as its Vice-President from 1997 to 2000. He also was an Emeritus Professor at Monash University and was President of the International Association of Lawyers against Nuclear Arms. 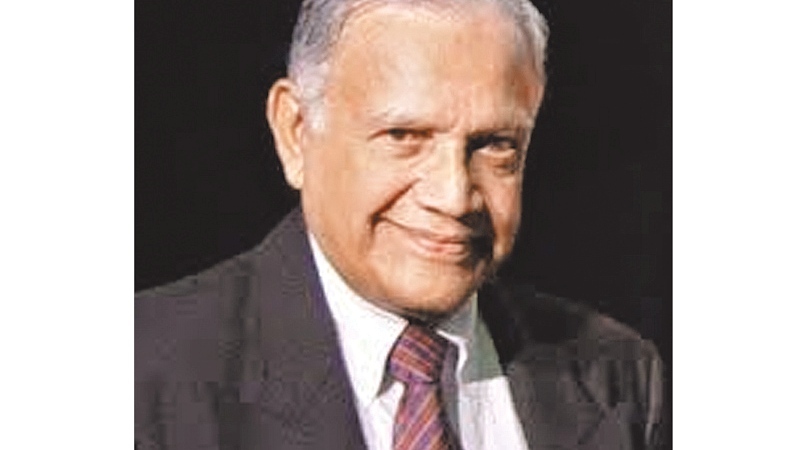 A former Lecturer and Examiner at the Colombo Law College, he was a Member of the Council of Legal Education in Ceylon. Weeramantry also served as a visiting Professor at Harvard University (2000), University of Hong Kong (1989), University of Florida (1984), University of Colombo (1981), University of Papua New Guinea (1981), University of Stellenbosch (1979) and University of Tokyo (1978).